Utility Company - Tavares Group Consulting Inc.
Erie Thames Powerlines (ETPL) is a local power distribution company that aims to provide its customers with safe, reliable and cost effective electrical service. ETPL represents the amalgamation of seven Public Utilities Commissions, serving: Port Stanley, Aylmer, Belmont, Ingersoll, Thamesford, Otterville, Norwich, Burgessville, Beachville, Embro, Tavistock, Mitchell and Dublin, Ontario. This territory includes approximately 18,000 customers who rely on ETPL for electricity distribution. Their main office, located in Ingersoll, is responsible for the day-to-day operations and management, including monitoring connectivity and dispatching technicians to resolve connectivity issues. The Sustainability Toolkit (Toolkit) provided ETPL with a framework for analyzing sustainability issues, allowed the company to perform a gap analysis of current sustainability efforts and provided a space to create and manage action plans. ETPL previously released only one sustainability report in 2013 with the goal of releasing yearly updates. However, ETPL lacked the baseline data necessary to create goals and develop action plans to reach these goals. With the implementation of the Toolkit, ETPL was able to easily organize the data used to create baselines as well as define goals and objectives for each sustainability metrics. Completing a materiality assessment allowed ETPL to determine which metrics had the greatest impact on their stakeholders, ensuring that action plans were created for the most important issues. These action plans can be shared with employees, allowing them to learn about ETPL’s future sustainability initiatives. 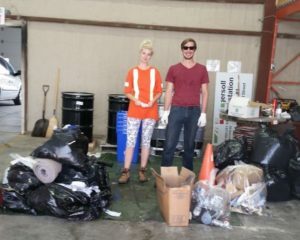 This kind of openness allows employees who are interested in sustainability learn about how ETPL operates as well as letting employees know who they can reach out to should they have concerns or ideas about sustainability. ETPL’s main concerns, as determined by the materiality assessment, were the organization’s environmental impact and stakeholder engagement. Using the Toolkit’s 13-step process, a gap analysis of waste, electricity, natural gas, air emissions, water, employee engagement and municipal engagement was completed. The gap analysis revealed a need for the development of procedures to measure and track sustainability metrics. Audits were completed in order to create a baseline for future analysis. Based on the initial assessment, actions were recommended that would enable the company to reach level A of the Toolkit’s self-reporting sustainability assessment. 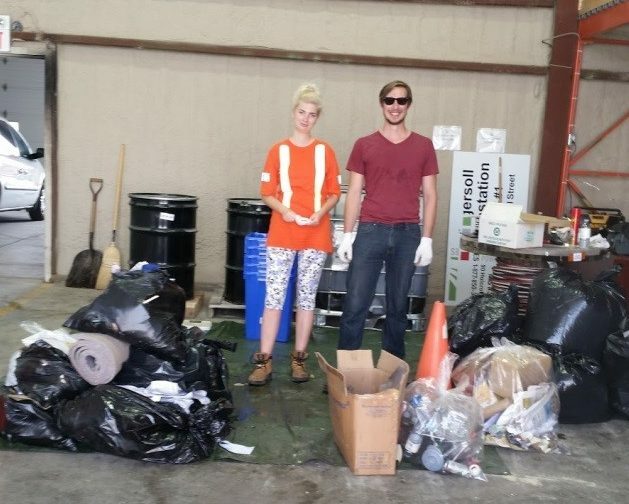 The waste audit and subsequent review of the waste streams at ETPL lead to the implementation of an organics program, while also seeing significant savings on monthly waste removal services. The gap analysis also revealed an opportunity to establish procedures for employee engagement, so a survey was created to find out what the employees expected from senior staff in regards to sustainability, and how to improve overall employee satisfaction. Results of the ETPL electricity usage analysis showed that when compared with typical energy usage per square foot of public office buildings, ETPL was using far less energy. However, there was still an opportunity to reduce usage even further, so an employee engagement campaign was initiated to remind employees to turn off lights when they were not in a room. Analyzing the GHG emissions spurred the development of a business case for the procurement of hybrid utility trucks, and initiated discussions about the possible causes of high natural gas use in some months. As ETPL moves forward with their sustainability initiatives, the Toolkit’s systems-based approach will provide a streamlined process to effectively improve their sustainability performance. The Toolkit provides a comprehensive framework that can be easily adapted and utilized by various departments in the organization and can be used to address other criteria. In the future, the Toolkit can be used to analyze impacts at the other ETPL locations as well as an engagement analysis on their other priority stakeholders. The research for this case study was funded with the support of a Mitacs Accelerate grant. For more information on the research project, please view our blog.